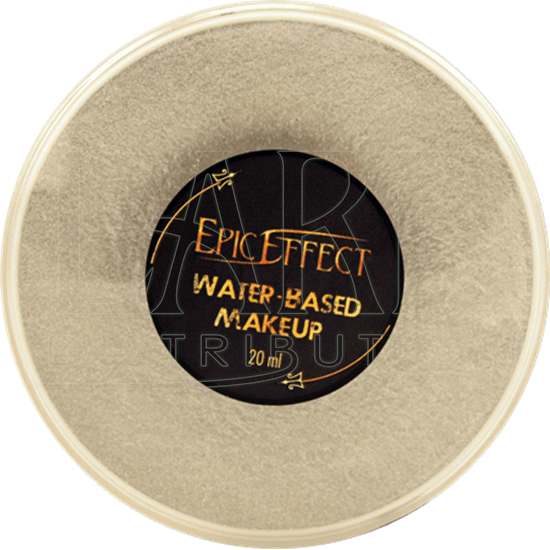 Our Epic Effect Water-Based Make Up - Silver is a professional grade, deep-pigmented compact powder, perfect for your costuming needs. 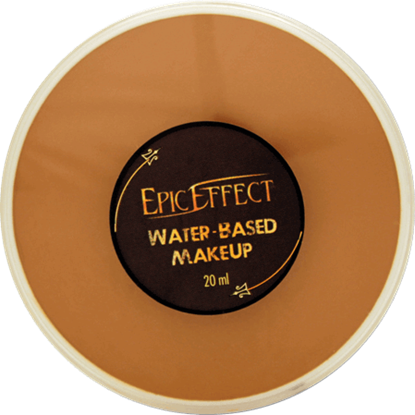 Use Epic Effect Makeup to create the correct skin-tone for your role, or blend in a prosthetic. The makeup will even cover hair, making it easy to change the hue of your beard, mustache, and eyebrows. 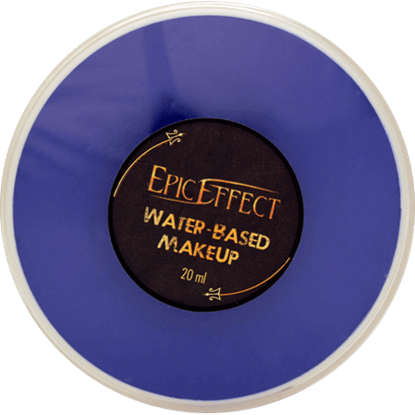 It is very easy to apply Epic Effect Makeup. For coverage of large areas, we recommend using a damp sponge, while a smaller brush is best for fine details and accents. Keep in mind, since the makeup is water-based, the more water you add to your sponge or brush, the more diluted you will make it. Moisten it just enough to spread the makeup evenly. 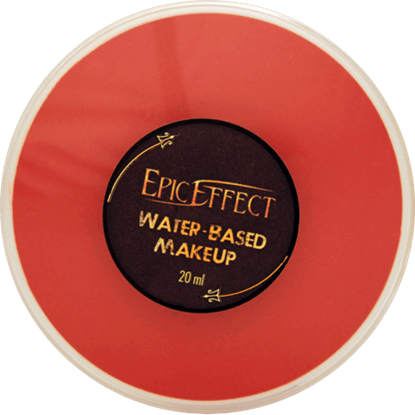 The makeup dries in a matte finish, so there is no need for extra powder. 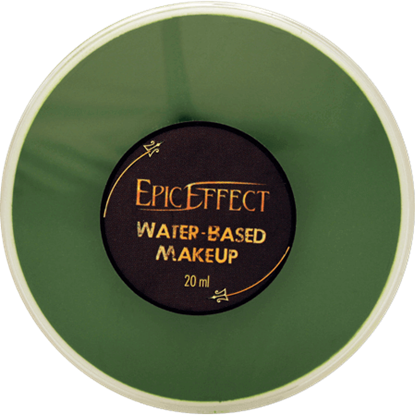 For even more staying power, we offer a makeup sealer, Epic Effect Setting Spray, which is available separately. 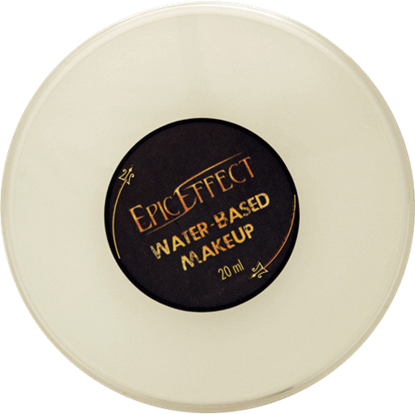 To remove the makeup, simply wash with warm water and soap.